IBM is beefing up its offerings in software-defined storage, which promises to let IT departments better deal with large amounts of storage by uncoupling the management software from its underlying hardware. The company has expanded two products in its Spectrum line, Spectrum Protect and Spectrum Accelerate, to allow customers to combine in-house Spectrum deployments with IBM Cloud storage services. "We have clients using Spectrum today who are looking for a way to leverage the cloud to hold long-term retention items, or because they are running low on capacity," said Sam Werner, IBM director of storage and software defined environments. "We can extend the capabilities they have today, and allow them to have a new cloud storage tier." IBM launched the Spectrum line of storage systems, software and services in February, as part of a $1 billion initiative to advance its storage offerings over the next five years. The company claims that Spectrum storage systems and services are now used by more than 1,000 clients. One component of Spectrum, Spectrum Protect, provides the software and hardware needed to make back-ups of system data. It is especially well-suited for backing up cloud workloads running on OpenStack or VMware infrastructure, Werner said. IBM has expanded Spectrum Protect so users can now store data in either the IBM cloud or on internal storage devices. Previously, connecting Spectrum Protect to additional cloud storage required a gateway appliance. The updated software has direct connections into the IBM SoftLayer set of cloud services. The company designed Spectrum Protect primarily for small and medium size businesses to replace their backup servers, media servers and deduplication appliances with a single server linked to the cloud for additional capacity. 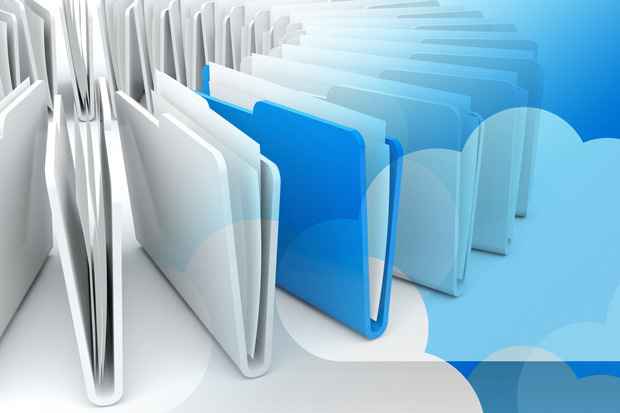 Using a cloud storage pool is a matter of defining which data should be copied into it, after which the data is automatically copied into cloud, Werner said. Using the new backup product could help reduce backup costs by up to 53 percent, IBM has estimated. Another Spectrum product, Spectrum Accelerate, manages block-based storage, where data is stored in separate volumes, as opposed to file-based storage. Accelerate was adapted from the software used to power the company’s XIV line of high-end self-tuning storage systems. 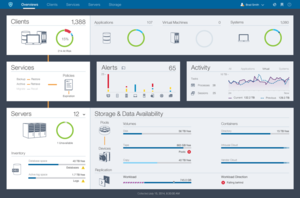 The new update extends Accelerate-based deployments with SoftLayer-based cloud. If that infrastructure is deployed on-premises, the same interface can be used to manage it off premises, Werner said. The company also launched a cloud-only version, called IBM Spectrum Accelerate on Cloud, to deploy XIV-storage directly on SoftLayer, which could be useful to organizations that want high-speed block-based storage but don't want to purchase or maintain a fleet of XIV storage appliances. The company has also revised the Spectrum Accelerate licensing so it can cover the software regardless of whether it is run on premises or in the IBM Cloud. One early user of IBM Spectrum Accelerate on Cloud is cloud service provider Enfo Oyj, which uses the service to make off-site copies of the data in its own data centers. Other Spectrum offerings include: Spectrum Scale, for globally distributed file systems; Spectrum Virtualize, which is software for virtualizing the storage systems; and Spectrum Archive, which provides a way to move data off to tape drives.